Trias Uganda and HORIZONT3000 support various partner organizations in applying the ERI approach. Both organizations, however, faced the challenge that no guideline for facilitating ERI sessions with farmer groups was available. 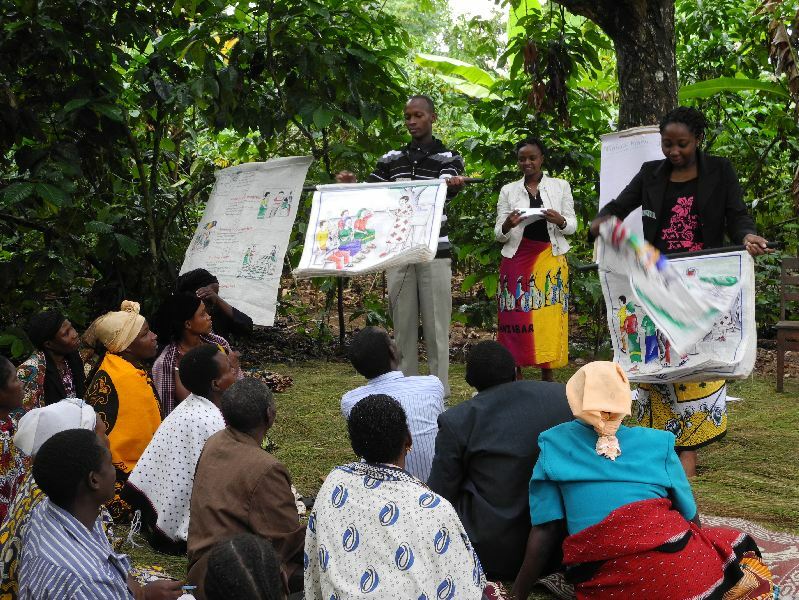 In 2011 they therefore decided to develop a simple hands-on manual for ERI facilitators that will help to scale out the ERI approach within their networks, and to share experiences beyond. Trias and HORIZONT3000 contracted Mango Tree to design the manual and visual training materials to facilitate farmer’s understanding. In 2013, this resulted in a concise but simple trainers manual, consisting of 25 re-printable booklets, and 17 visual tools (see picture below) covering the five core modules of ERI. The introductory chapter of the ERI trainers manual can be downloaded here. We are also happy to share the complete manual with you. However, we would like to keep track who is using the manual and for what purpose. Please fill in the form below. After receiving your data, we will send you a password with which you can download the complete English Manual here and the French Manual here. A set of visual tools and a printed trainers manual can be ordered directly from Mango Tree.